The agenda for the Costa Mesa City Council meeting next Tuesday, June 7th, has been released and, while some staff reports are still pending, it looks like this thing could get wrapped up by 9 p.m. The meeting starts at 6:00 in the City Council chambers. Since the council decided to make available all the information regarding the Warrants in the Consent Calendar it's become a kind of fun practice to scroll down through them to see what little tidbits of interesting information we might find. This time was no exception. In Warrant 2370 we find all kinds of consulting fees having been paid on 5/13/11. Command Strategies Consultants was paid $7,333.36 for "legal advice, CM investigation" Wonder what that's all about? AAA Animal Hospital was paid $8710.00 for "tranquilizer drugs". What did we tranquilize - a herd of elephants? And Jones & Mayer was paid $106,266.29 for their legal services. Yikes! You may recall that the City is tentatively budgeting $703,000 for legal services in the upcoming budget year, but as was pointed out at the recent Study Session by vigilant community budget watchdog Judi Berry, we're spending over $100,000 per month. I think, based on recent closed session agendas - including Tuesday's - that we may be prudent to budget a larger number for legal fees rather than be surprised in February when we've run out of budget dollars for that line item. In Warrant 2371, which generated checks on 5/20/11, there were more interesting items. Management Partners was cut another check - this one for $5,637.40. That's over $10,000 in two weeks. GrowthPort Partners received $12,500.00 for "Employment Support Services". Hmmm, I didn't realize we were doing that much "employment" these days. There were two REALLY interesting entries on this Warrant. Back-to-back we cut checks to the U.S. Marshalls Service in the amounts of $300,000.00 and $428,730.00 for "money seized NARC". I sure would like to know that's all about. In Warrant 2372, with checks being cut on 5/27/11, we find even more fun. Management Partners was, again, cut a check. This time for $11,423.20, for organizational review for the police department and interim management assistance. So, on three checks in three consecutive weeks, we've paid them almost $22,000.00. Intelligent Products was paid $4,760.00 for the "Dog Waste Bag Program". Come again? Four Boys New Media (Bill Lobdell) was paid $9,000.00 for three weeks work - 4/22 to 5/12. Enterprise Rent A Car was paid $7,745.47 for 8 undercover police cars. California Forensic Phlebotomy was paid $4,936.20 for Blood Tests. Carl Warren & Co was paid $3,627.41 for professional services. I can't do this every time the warrants appear - makes my head hurt - but it gives you something to contemplate over the weekend. Under Public Hearings - which is not supposed to start until 7:00 p.m. - the council will address the allocation of the Community Development Block Grant (CDBG) funds and funding priorities for the CDBG and Home Investment Partnership Program. 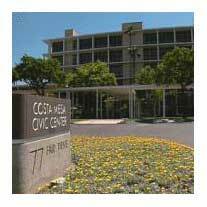 SPECIAL EVENTS FEES TO BE "CONTINUED"
Although it's on the agenda, staff is recommending "continuing until 6/21/11" the establishment of rates, fees and charges for services provided by the Costa Mesa Police Department for special/community events. And, the Business Improvement Area (BIA) will have its assessment of 3% for certain hotels and motels re-authorized for the new fiscal year. Under Old Business, CEO Tom Hatch will provide an update on the Budget and how the RFP process for outsourcing is progressing. That should be very interesting and will likely generate some inquiries from the audience. 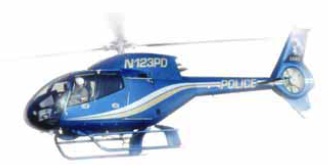 Under New Business we will apparently hear alternatives for the operation of the ABLE helicopter law enforcement program. And, apparently the Working Groups will be discontinued. No surprise there, since only one actually met - the Budget and Capital Improvements group - and they did that in secret, or so it seems. Wendy Leece has been asking for minutes, notes, records of any kind dealing with those deliberations. I doubt we'll ever hear anything about those meetings between Jim Righeimer and Gary Monahan - the cocktail napkins were probably too soggy to place in a file somewhere. 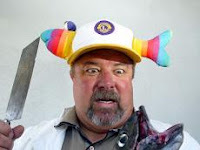 Don't forget the Fish Fry this weekend. The weather is supposed to be perfect, the rides will be fun, the fish will be yummy as usual and on Sunday between 2 and 3 you'll see some of the most beautiful babies anywhere! Join my friend Mike Scheafer and his Lions Club pals and have a fun time and help the Costa Mesa Newport Harbor Lions Club raise money for many worthy community causes. I'm going to be in a wedding this weekend, so the Cauldron will go dark tonight. No comments will be posted until I return and it's unlikely that any new entries will be posted until very late Sunday, if then. The Pot Stirrer actually does have a real life and this event is going to be a very special part of it. I might tell you about it later, so be patient. You can send your comments in if you wish, but they are likely to ferment for a couple days until I approve them for posting. The 2 checks for the US Marshall's were drug money seizures by CMPD narc investigators. The PD seizes the money, deposits it into a city account where it is counted, then a check is written to the Marshall's so the money can be forfeited through a federal court process. The US Marshall's then return the money to the city (the amount returned varies depending on what the investigation was and who participated) via the asset forfeiture process. This can take anywhere from 6 months to several years. In other words, this is standard procedure. Geoff. Just what is and was does the assessment of 3% for hotels and motels represent? I heard that it might be a "give back (away)" of 3% of the City's T.O.T. bed tax. That it allows the biggest hotels to use what would have been retained in the City's budget of that portion of tax money to promote their hotel businesses instead of using their own shareholder's money. Wyatt Earp, I suspected as much, but since we now actually can see this stuff it's going to generate questions. Thanks for the clarification. SHIELD, the 3% (used to be 2% but the council will raise it Tuesday) is on TOP of the current 8% TOT that all hotels collect. 10 hotels form the BIA and theoretically use this extra money to promote tourism in Costa Mesa. Come to Costa Mesa we have the best plaza (not mall) in the country. If you aren't rich you can still go and watch the rich people buying their preferred purse for the season. You are more than welcome to browse but please don't try on any clothes unless you are serious. There is a McDonalds hidden in the plaza so you can eat off the dollar menu to save a buck. A McDonalds in a mall how cool os that? Make sure you take a photo. You can then head over to Segerstrom Center for the Arts where you can catch an awesome show for $75.00 a head unless you sit in the back where you can't see the stage. After the show feel free to head down to Triangle Square and hit up Sutra Lounge. If the debauchery of Sutra isn't your thing, cross the street to Goathill where it doesn't matter where the bathroom is, just pee in the corner. The food trucks come by every once and a while so you can grab a bite there. If you miss the trucks however, head down to Dell Taco on 17th Street. Be careful in the parking lot and drive thru though, because the drunks are driving and they may very well run into your rental car, hope you got the insurance. Also you may be lucky enough to meet one of the locals, our best tourist attraction, at Lion's park huddled around the airplane. But please be careful and don't approach them too closely in their habitat. Finally, whatever you do, don't drive west. Feel free to drive any direction but west, we don't go west. Re "... Working Groups will be discontinued." Could it be that the other groups that never met were just a cover for Righeimer and Monahan's Budget and Capital Improvements group? They were necessary cover because wouldn't red flags have gone up for us if Budget and CIP was the only one authorized? As much as I am outraged by the number that's being done on the city, I stand in awe of the effectiveness of the Republican Party's think tanks that have designed and implemented this whole charade. Wendy Leece and others have been asking for notes, etc. from the secret Budget and CIP meetings. But there may not have been any notes or even meetings! If the think tanks designed the whole process, all the councilmen had to do was parrot whatever the script said. THAT'S the document I want to see! A script? Well, Scott Baugh implied it when he preened that Costa Mesa is Ground Zero for the Republican effort. Cheers, fellow guinea pigs! Enjoy the slide down the rat hole. Drat!! I got the start time wrong. The council meeting starts at 6:00, not 6:30. Sorry about that.